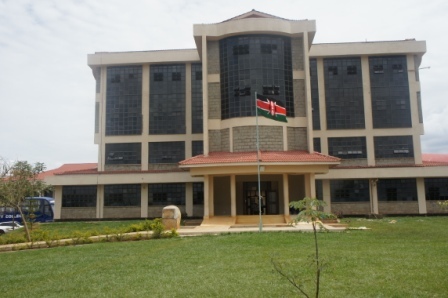 Kibabii University (KIBU) was established by the Legal Notice No. 115, which appeared in Kenya Subsidiary Legislation 2011 of 12th August, 2011. According to the legal notice, KIBU was established as a constituent college of Masinde Muliro University of Science and Technology. The legal notice gave KIBU powers to provide directly or in collaboration with other institutions of higher learning, facilities for University education including technological, scientific and professional education. The organizational structure of KIBU is guided by the Legal Notice No.115 published in the Kenya Gazette Notice dated 12th August, 2011. The University is run by Council as the supreme decision making organ. The day to-day activities are run by the Academic Board chaired by the Principal. Other members of the Academic Board include; Deputy Principals, Deans of Faculties, Directors of Institutes, Schools and Centres, Chairpersons of Teaching Departments, University Librarian, Faculty Representatives, Professors, Student Representatives and Trade Union Representatives. The co-ordination of administrative, financial and academic functions of the University is handled by the Deputy Principals supported by Registrars, Finance Officer and Librarian. The University Management Board assists the Principal in making decisions on operations in the College. The Management & administrative hierarchy are shown in Annex 1 and 2.